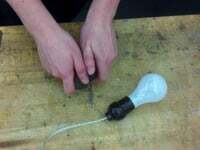 Gadget for the Caveman 1, 2012 Gadget for the Caveman 1 is a simple light switch that brings back the action of knocking two stones together, as means to light up one of the modern replacements for fire – the light bulb, mediated through a computer software. 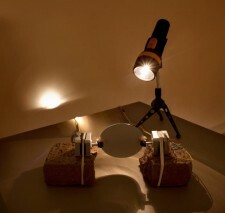 Gadget for the Caveman 3, 2013 Gadget for the Caveman 3 is an indoor sun clock that brings back into the room the image of the sun, that was the key element by which man divided the different parts of the day and first understood the meaning of passing time. 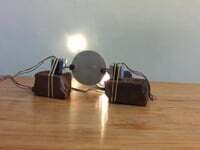 Made out of a mirror, two stepper motors, a brick, and a spotlight, it follows a fake sun’s root from sunrise to sunset, assisting the Caveman in perceiving time within a built environment. Facial Noise _demo, 2013 In Butoh, the face is being used by the performer as a mask, freed from social constraints. Made out of muscles, the facial expressions that are being portrayed by the performer are empty from any subjective emotions. The audience is the one that creates the relationship between the expression and the performer that delivers it, creating an emotional bond between the two. The FN interface explores human-computer interaction as a mean to generate musical expression. Performed by the Butoh dancer Azumi Oe. Sound design in Max MSP and Abelton Live by Khen Price. Also using Max Jitter and Kyle Mcdonald's FaceOSC addon for openFrameworks for face tracking. Gadget for the Caveman 2, 2013 Gadget for the Caveman 2 is a Night Lamp. 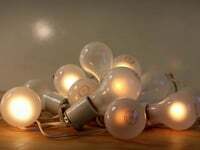 Piled up like slugs and coals mixed with tinder wires, the light bulbs flicker, imitate in the way they are animated a live fire. 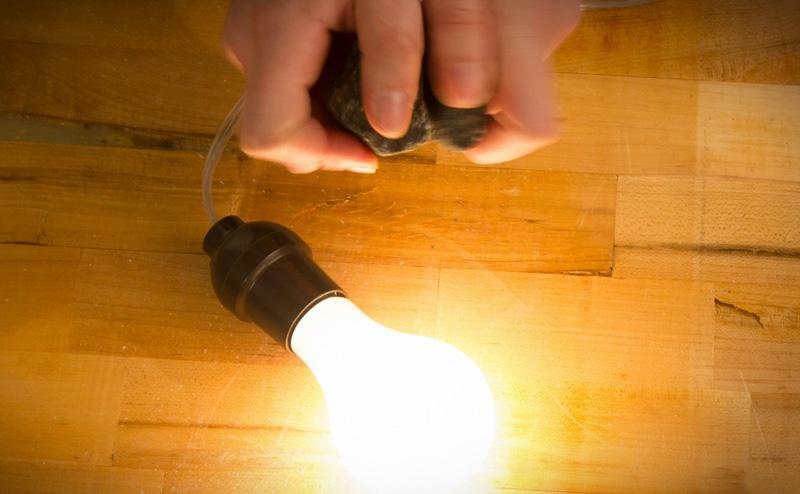 Gadget for the Caveman 4, 2013 A single light bulb is connected to a light sensor. As it is getting darker outside the room lights-up and the opposites. 10 min excerpt. loop. Created @ ACRE residency, WI, completed in Brooklyn. P.V.B (The Piano Visual Bar), 2011 The Piano Visual Bar is a mechanical device, a system of switches that are implanted inside a piano. The switches turn on and off by the touch of the keys, translated into different animations. 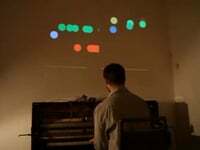 The playing generates the visuals — projected as colors, shapes and images onto screens around the piano — the visuals affect the way the player plays in a constant feedback loop. With the pianist Amit Dolberg. Happy Song?, 2010 In collaboration with Tamar Tal.